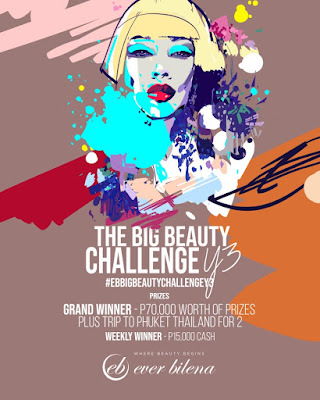 The top winner in the weekly make-up tutorial video contest will win a trip for two to Phuket, Thailand, plus P50,000 cashand an additional P20,000 worth of Ever Bilena products. The grand winner will also sign an exclusive contract as a brand ambassador, and shall perform special projects for Ever Bilena. Participants will be judged based on the following criteria: 4% creativity, 20% most number of Ever Bilena products used in the video, 20% make-up executions and skills; and 20% most numbers of views and shares.